Unicaja Malaga bounced back from consecutive losses in Group D by downing Cedevita Zagreb 82-73 at home on Friday. 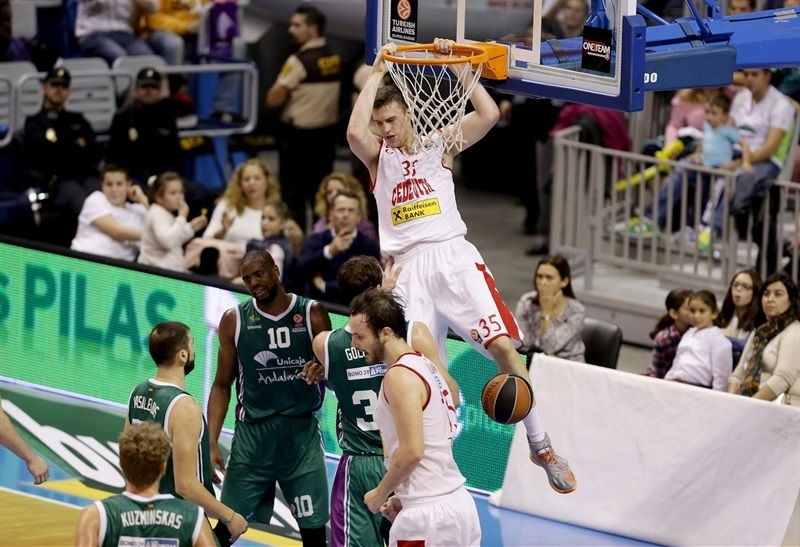 Unicaja improved to 4-2 and got closer to clinch a Top 16 spot while Cedevita dropped to 1-5. Ryan Toolson paced the winners with 19 points off the bench. Mindaugas Kuzminkas had 14, Vladimir Golubovic added 13 and 9 rebounds in just 17 minutes while Kostas Vasileiadis got 10 points for Unicaja. Miro Bilan led Cedevita with 21 points. Roko Ukic added 15 points, 6 rebounds and 9 assists and Marko Arapovic scored 10 for the hosts. Cedevita had a strong start and an outstanding Ukic gave the guests a 10-14 edge. A coast-to-coast layup by Nemanja Gordic extended the lead to 17-23, but Golubovic led a 10-0 run that gave Unicaja a 27-23 margin early in the second quarter. Toolson shined throughout the second quarter, but Gordic and Arapovic kept Cedevita within 44-41 at halftime. Bilan and Arapovic kept Cedevita within 68-67 early in the fourth quarter, but Unicaja improved its defense in crunch time and found a go-to guy in Kuzminskas, who helped Unicaja grab a very valuable home win. Ukic got Cedevita going with a floating layup and a basket inside by Miro Bilan gave the guests a 0-4 lead. 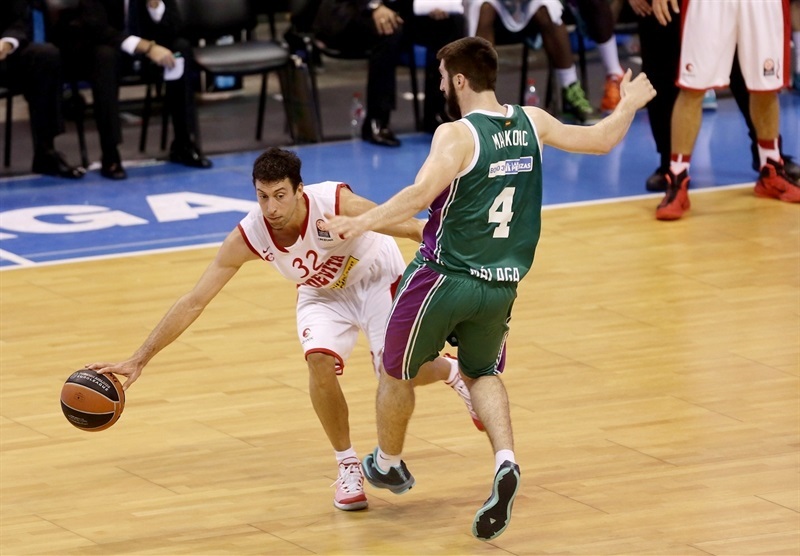 Unicaja kept struggling to score and a driving layup by Fran Pilepic capped a 0-6 run. After Mindaugas Kuzminskas dunked, Bilan split free throws. A three-pointer by Kostas Vasileiadis brought the hosts within 5-7. 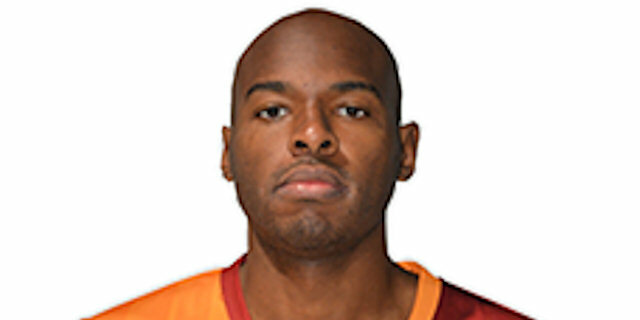 Bilan kept pacing Cedevita with a tip-in that Will Thomas erased with a layup. Another triple by Vasileiadis gave Unicaja its first lead, 10-9. Ukic answered from downtown and hit his trademark one-handed floater to give Cedevita a 10-14 edge. 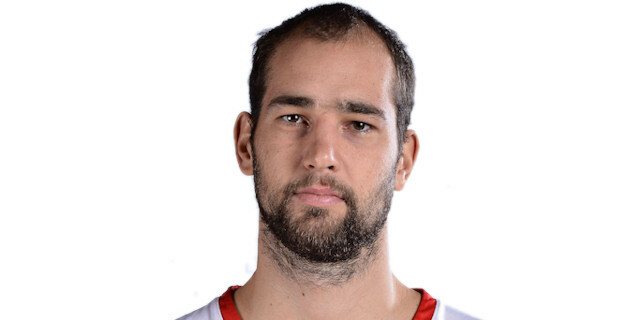 Stefan Markovic nailed an off-balance shot, which an unstoppable Ukic erased with foul shots. Nemanja Gordic hit a triple, but Vladimir Golubovic countered with a jump hook and Ryan Toolson kept the hosts within 17-19. Ukic scored again and a coast-to-coast layup by Gordic caused Unicaja to call timeout at 17-23. Toolson sank a three-pointer and a put-back layup by Golubovic kept the hosts within 22-23 after 10 minutes. Toolson sank a mid-ranger jumper early in the quarter and Golubovic added a layup-plus-foul for a 27-23 Unicaja lead, after a 10-0 run. Bilan and Golubovic traded baskets and another floating layup by Ukic kept Cedevita within 29-27. Caleb Green split foul shots. A jump hook by Bilan made it a 1-point game. Green found space for an uncontested three-pointer and a jumper by Toolson gave Unicaja fresh air at 35-29. Ivan Ramljak scored around the basket, before Jayson Granger split free throws. A big triple by Tomislav Zubcic brought Cedevita within 36-34. Gordic and Kuzminskas exchanged baskets and a three-pointer by Toolson restored a 41-36 Unicaja margin. Fran Vazquez split free throws and a three-point play by Marko Arapovic allowed Cedevita to stay within 42-39. Kuzminskas hit free throws, but a buzzer-beating layup by Arapovic fixed the halftime score at 44-41. Vazquez and Bilan exchanged free throws immediately after the break. Bilan kept leading Cedevita with a put-back basket and a jumper by Gordic restored a 46-47 Cedevita edge. Carlos Suarez struck from downtown and bettered Mario Delas's baseline jumper with another one from beyond the arc to ignite the crowd at 52-49. Toolson joined the three-point shootout, as Unicaja kept the guests scoreless for more than three minutes. Ramljak tried to change things with a driving layup and Bilan sank a mid-range jumper to keep Cedevita close at 55-53. Markovic rescued Unicaja with a three-pointer, which Ramljak quickly answered from downtown. Free throws by Ukic tied the game at 58-58. 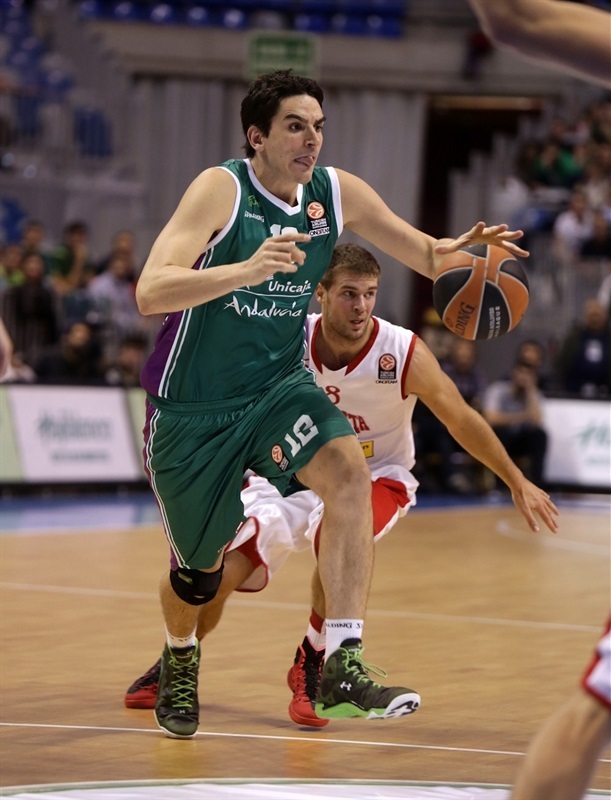 Vasileiadis made 4 free throws and a layup by Golubovic boosted Unicaja's lead to 64-60. 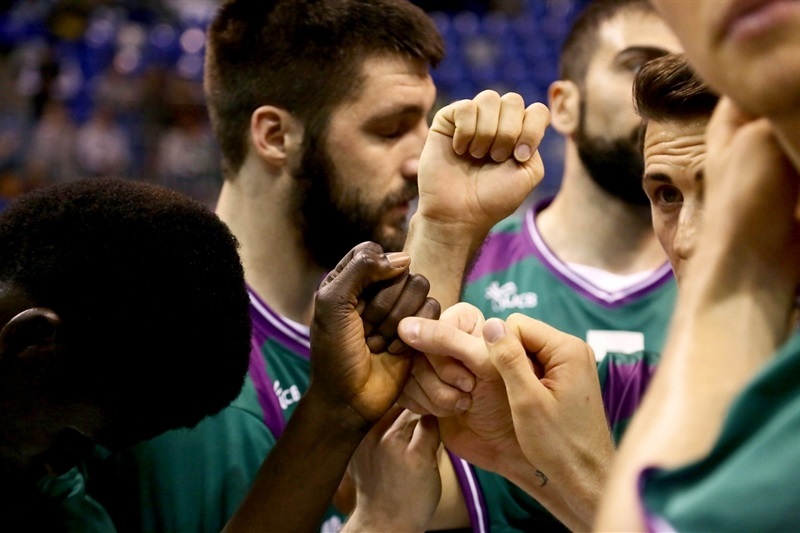 Arapovic nailed a three-pointer, but Golubovic scored again for a 66-63 Unicaja edge. Gordic fed Arapovic for a two-handed dunk early in the quarter. Kuzminskas scored in the low post, but Bilan nailed a running hook to make it 68-67. Vazquez fed Kuzminskas for a two-handed slam, as Unicaja started to play with more intensity on defense. 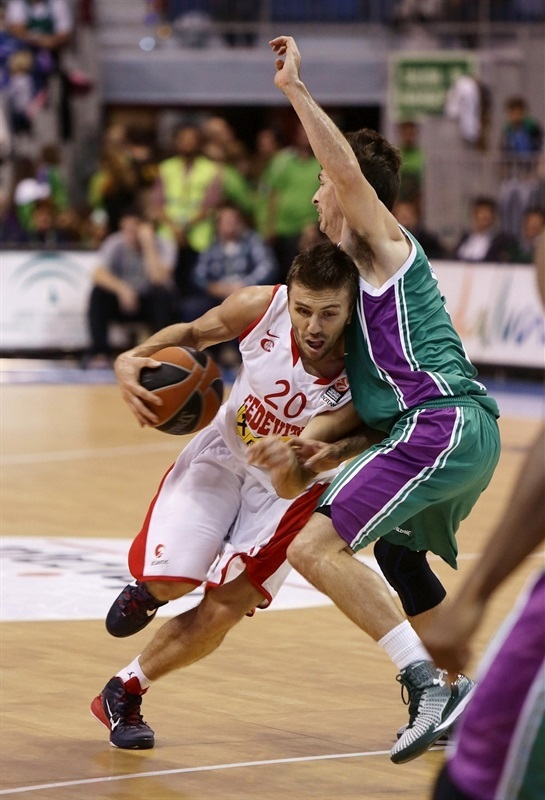 Cedevita could not find answers on offense and Unicaja kept using long possessions and powering the offensive glass. Meanwhile, Jayson Granger shined with a driving layup, which caused the guests to call timeout at 72-67. Bilan hit a jump hook, but Suarez erased it with a two-handed slam. Ramljak and Toolson traded baskets, however Unicaja kept dominating the game with outstanding defense, not allowing easy shots. Meanwhile, a wild put-back layup by Kuzminskas sealed the outcome at 78-71. Toolson made free throws and even though Cedevita kept trying, Unicaja cruised to its fourth win in Group C.
"It was a tough game, difficult. Cedevita competes really well against most teams. They depend a lot on two players, Ukic and Bilan, and we had a tough time against them. It was a very important game for them. When you play against a team that fights for a certain goal, it is always more difficult. Little by little, they lost fluidity on offense. It was hard for us to balance our inside and outside game. I want to thank our fans for showing up, their support and enthusiasm throughout the game. We are not going to speculate. We will go to Berlin to try to win and show that we can be in the Top 16. It was really important to get this win going forward." "Congratulations to Unicaja. I cannot say anything wrong about our game. I have a young team and a limited budget. We played well for the best part of the game. 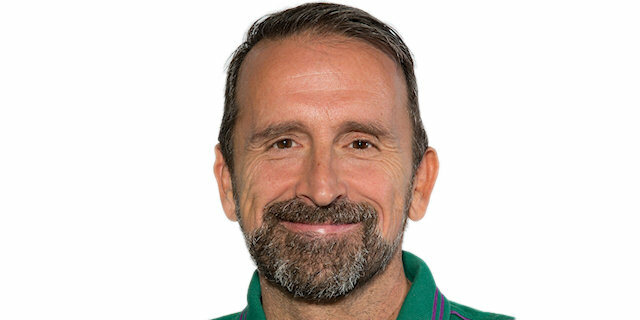 When we prepared the game, we talked about Unicaja's game and how we needed to stop their transition game and three-point shooting. Most of the game, we controlled their transition game really well on defense. We lost control of the boards during some minutes, especially in the first and fourth quarters. Maybe we were tired in the fourth quarter and allowed some easy baskets. 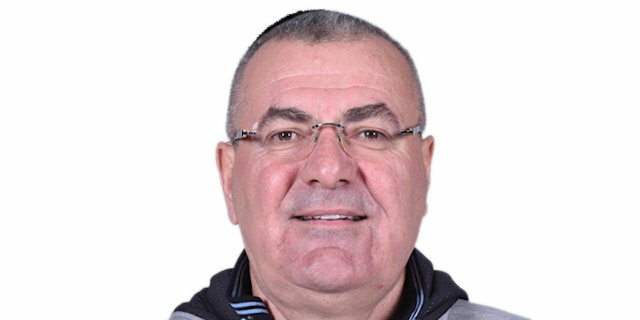 I want to once again congratulate Unicaja and my players." "We are very happy to get this win. We knew this game was very important to be able to qualify for the next phase. They have not put things easy. They have competed for 40 minutes, and we had to work hard for victory. The offensive rebounding in the last quarter has been very important. We defended well their key players in the second half, and that was key for the outcome. It was a very important win. Now, we go to Berlin to try to win and get closer to qualifying." "We have been in the game the entire time. Until the last 10 minutes, we competed very well against a very strong team as Unicaja. We played well on offense. We have had patience to score. On defense, we've had to stop their transition offense but the rebounding has been key to the outcome of the match. They have been more successful than us in the latter part of the game, and have taken important rebounds. We fought until the final whistle. We could have gotten the win but it was not to be."